When with Lions Club International in 1982 I had the privilege of being President of the Lions Club in Wokingham and District Diabetes Officer 105D. 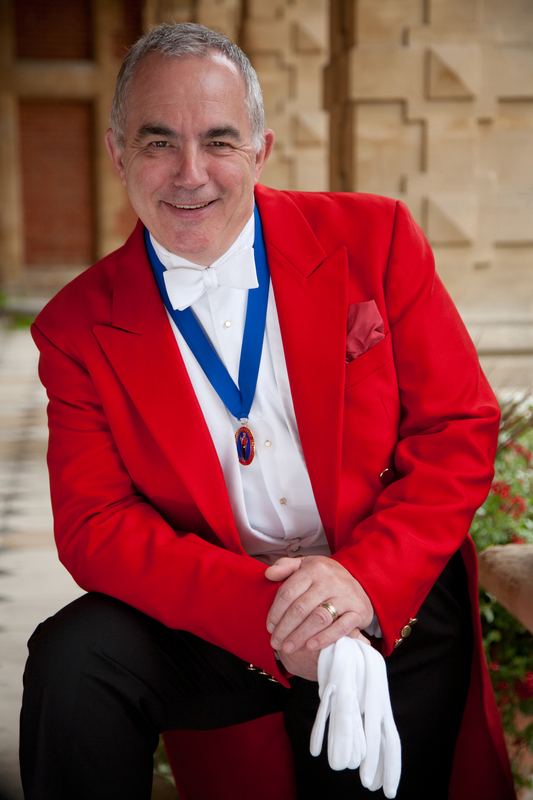 The role meant I had to attend many formal functions, this is where I met my first Professional Toastmaster Lionel Pope. 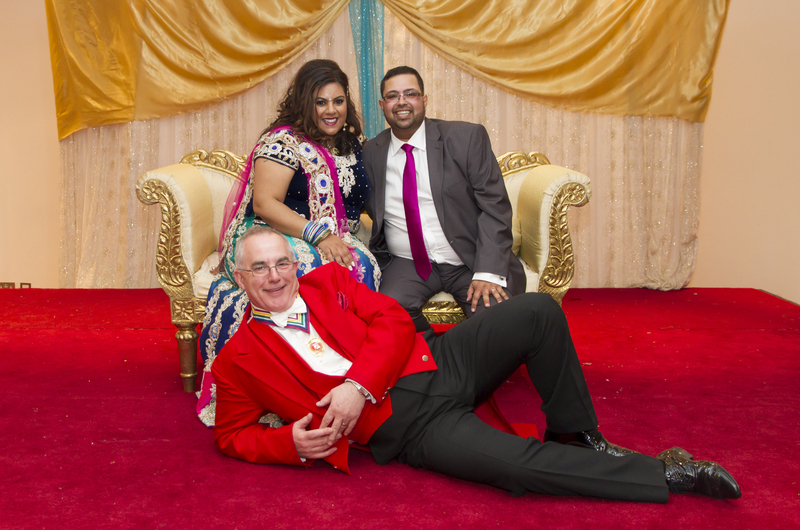 Over the years we became good friends and he trained me in the role of being a Professional Toastmaster. After setting up my own business, I was invited to join the Independent Toastmasters Association where I continued to learn my trade. Since then I have been a member of The English Toastmasters Association and with my current guild The Executive Guild Toastmasters and Towncriers. 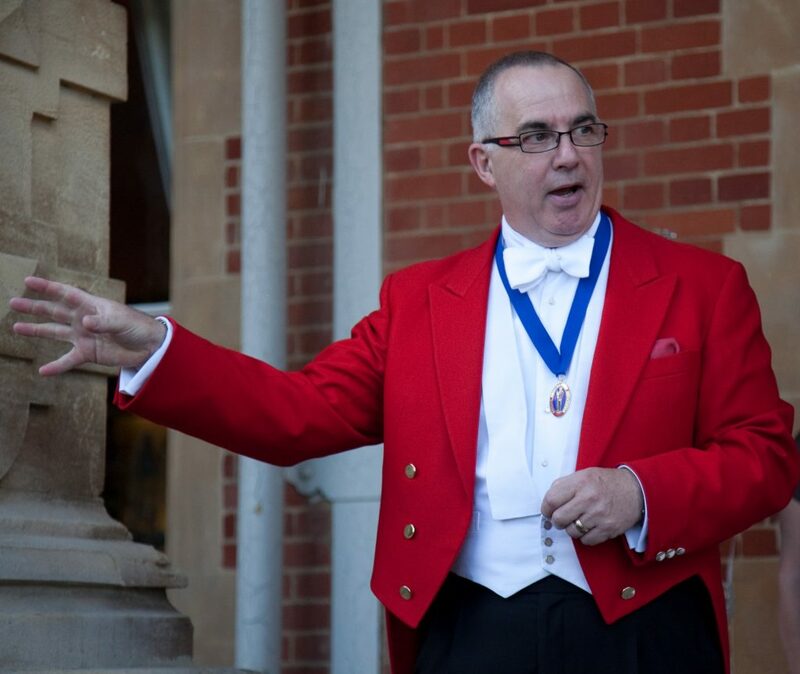 Over these years I have been very lucky to officiate not only with many Bride & Grooms, but in the presents of members of the Royal Family, Celebrities, Olympic Champions and Sports Personalities. I also helped launched the London Royal Tea at Cafe Royal in London and had great pleasure in officiating at the Ryder Cup Golf Dinner. My work is very bespoke and its the clients requirements that are at the forefront of my mind. Along the way I will inform you of things that I know work well and those that do not. So, between us, we can finalise your plans to the smallest detail. Whatever the function, its your day the way you want it, giving you time to relax with family and friends and enjoy your day and have memories which will last into the future.